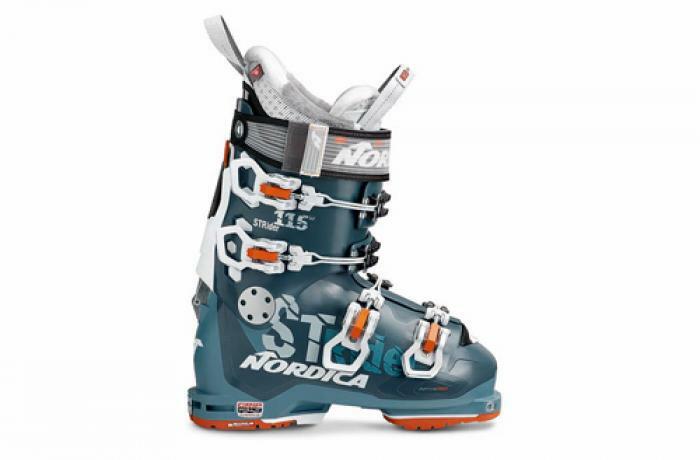 The 2018/2019 Nordica Strider 115 W was tested in the women's On-Off Area medium width category at Silver Mountain Resort by the experts at America's Best Bootfitters, powered by Masterfit. 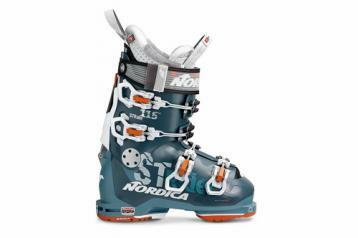 After last year's highly successful launch of the men's Strider 130, our women's test team was like, WTF Nordica--hash tag me too some Strider boots, huh? 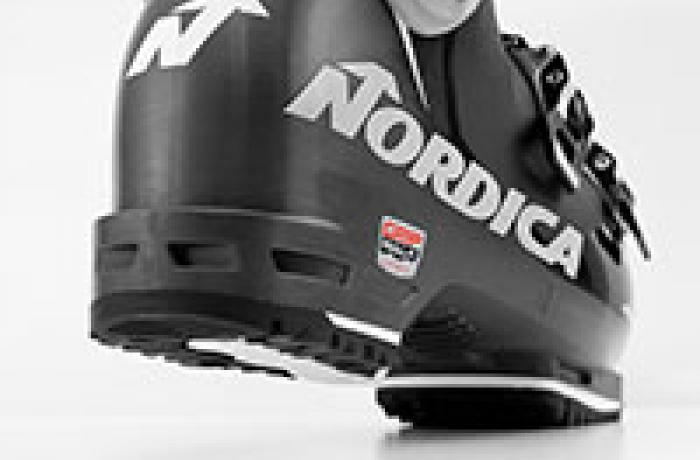 And they got their wish this year with the new 2019 Nordica Strider 115 W Dyn, which debuted at our test to unanimous approval and a silver medal. Beyond its ridiculously good looks, testers said the Strider 115 W was a flawless solution for those looking for that quiver-killing-one-boot-solution for anywhere up, down or around the mountain. The women might not know it, but their fit impressions of the Strider mirror that of the men—an ultra contoured match to the foot and the leg, just on the snug side of the medium width middle-ground. 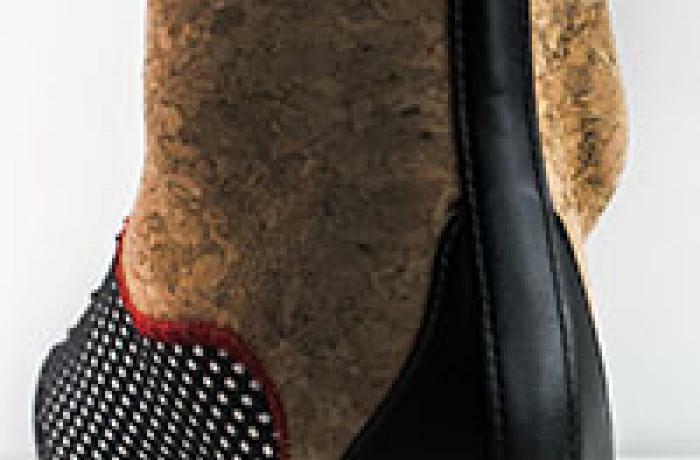 The cork-clad exterior of the Precision Fit W Primaloft liner provides a bulwark of solid, yet moldable material that cradles the curves of the rearfoot with a firm pushback that says, performance, testers report. They loved the initial, cushioned, comfy feel on first entry, but they more appreciated the fact that the liner had guts and held the foot well after some serious test runs and a bit of sweat. Lots of comments like: snug, ideal grip, conforming, curvy. The Strider 115 W Dyn's edge power score was its highest (and one of the highest edge power scores of all On-Off Area women's boots, regardless of width), which backs up what testers were saying—full on Alpine boot power to the edge on any terrain, at any speed. Testers mentioned that the Strider was no slouch for quickness turn to turn, citing its light weight on the foot as a source of fast movements, but they gave the stability and power of the Strider 115 W Dyn the nod as its best characteristic, especially when paired with a highly functional touring range of motion and an easy to use, intuitive cuff release switch. The Primaloft insulated liner might appeal to the creature-comfort focused, but most of our testers were eyeing the rockered and Michelin rubber soled GripWalk plates that come on the boot and the Dynafit tech fittings for use with lightweight low tech bindings. The Grilamid plastic lower shell is moldable via simply wearing the boot after Infrared heating, though few testers mentioned a need to change the boot's shape beyond basic liner molding. They liked the ease of buckling and most liked the buckle catches—and all adored the pale blue hue with white and orange highlights.